The information contained in or accompanying this e-mail is confidential and is intended solely for the stated recipient(s) only. It may contain proprietary or legally privileged information. No confidentiality or privilege is waived or lost by any mis-transmission. If you receive this message in error, please immediately delete it and all copies of it from your system, destroy any hard copies of it and notify the sender. Unauthorized disclosure, use, dissemination, print, or copying (either whole or partial) of this e-mail is prohibited if you are not the intended recipient. Any views or opinions presented herein are solely those of the author and do not necessarily represent those of FIDELITY SHIELD INSURANCE COMPANY LIMITED. Emails are not secure and may suffer errors, viruses, delay, interception, amendment and their integrity cannot be guaranteed. 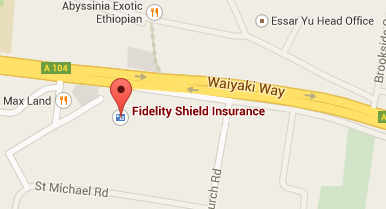 FIDELITY SHIELD INSURANCE COMPANY LIMITED does not accept liability for damage caused by this.